As I’ve blogged before, I have a friend who is getting married. As a happily divorced lady myself, I try to never, ever give advice on the subject of marriage. I feel I am very (oh-so-very) unqualified in the field of romantic relationships. So when my friend told me she was now officially engaged to her sweetie but didn’t want to set a date and refused to make any sort of actual wedding plans whatsoever, I smiled and kept my mouth shut. I did however, start knitting. I am a pretty qualified knitter and I decided I’d let my contribution to this event be in yarn rather than advice. FYI, I’ve never gotten myself into trouble by keeping my mouth shut. Not once. I knitted her a shawl, a wedding shawl. I’m calling it Something Blue. The old, new, borrowed, and the sixpence will have to come from somewhere else (good luck on that sixpence). I’ve got the Blue covered. Something Blue is a shawl made in aran weight yarn. Its three triangular lace panels. The two front panels are adaptations of Marriage Lines, a traditional Dutch lace motif. The back panel is Holland Lace (aka Dutch Diamonds). I figured those two motifs were perfect for a bride. 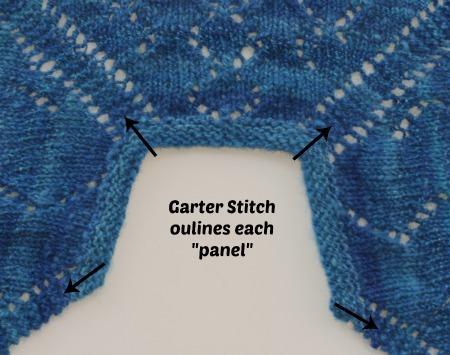 Each panel is bordered by a 3-stitch strip of garter stitch. The overall shaping is pretty simple; it grows by 6 stitches every Right Side Row. Then there is a little lace edging along the bottom followed by a picot bind off. Yarn: approximately 700 yards of aran weight yarn. I used a two-ply handspun made from a gorgeous Frabjous Fibers BFL Sparkle blend that’s been kicking around in my stash for a while. Needle: US Size 10 (6mm) with a nice long cord. This shawl gets wide near the end. And some stitch markers to make your life easier. Don’t forget to work a Row 20. Work Rows 1-20 four times. Then work Rows 1-10 once more. (A total of four and a half repeats). You should have 318 stitches. The motif in this section is worked on a 13 stitch repeat with a 3-stitch garter strip on each outside edge . You may find it useful to set stitch markers to keep track of the repeats. Don’t forget to work Row 10. Prefer Charts? I sure do. If you open the chart image below “in a new tab” it should be larger, easier to read, and format so that you can print it out if you like. Bind off 3 stitches. *Bind off 6 stitches, Slip the one stitch that is on your right needle back to the left needle. Cast on 3 new stitches (use the knitted cast on). Bind off those three new stitches. Bind off next seven stitches. * Repeat until 3 stitches remain. Bind off last 3. Enjoy your Something Blue… or Something Green… or Purple… or whatever it ends up being. For the record I already gave this one to my bride-to-be. I told her I loved her and that I wished her all the best on her special day. I also told her that if she wanted to wear the shawl any day that ends with a Y and never get married I’d be okay with that too. And after that I shut my mouth. 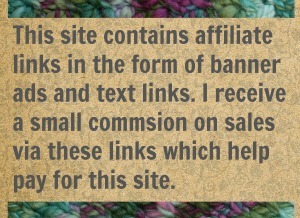 27 Comments on "Something Blue – a free knit pattern"
Jen, thank you for this, I absolutely love this pattern! I don’t like shawls that come to a triangle point down the back and you’ve solved that beautifully. It’s gorgeous. Lucky, lucky friend! You are very welcome! 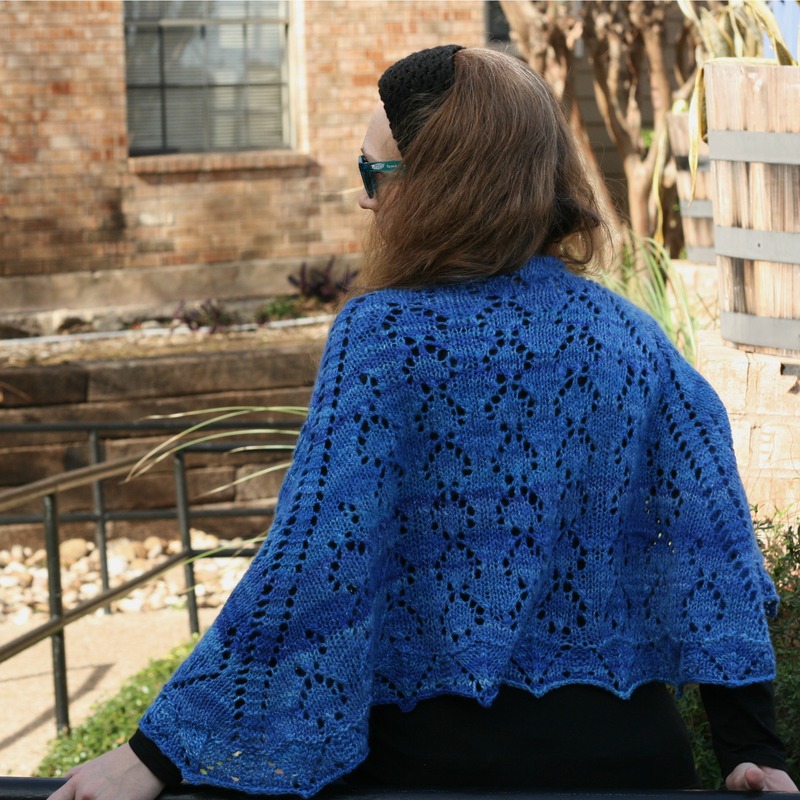 This shaping is pretty simple and easy to adapt to other lace motifs. Its actually very similar to the shaping used in making raglan sleeve sweaters. Glad you like it. Thank you — A beautiful pattern! Can’t wait to start this one. Great! I hope you’ll let me know how it goes. This is beautiful!!! I really want to try this but not sure I am a good enough knitter for this one!!! LOL Your friend is going to love this shawl!!!!! Well… maybe you are better than you give yourself credit for. Thanks so much for the pattern. it’s reallllly pretty and, like Tyke, love the fact that is not a point-y triangle! Notice I didn’t claim that I always manage to keep my mouth shut. I don’t. but when I do manage that feat, I never seem to get into trouble. I just wish I could pull that off all the time! And we have a second reader in the no-pointy-camp. Hmm…. Maybe there needs to be more shawls that cut straight across the back. This shawl lives up to my expectations, built on former post. Thank you. I was hoping to be able to try my hand. And I am able to knit and crochet some now. Wheeeeeee! 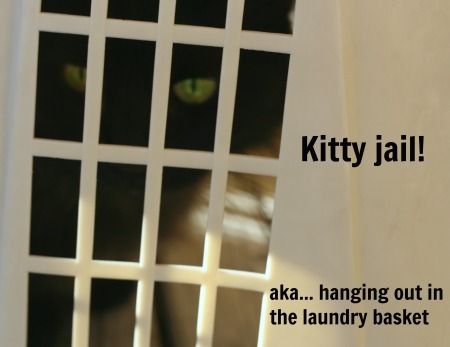 Now to get the yarn. Oh good! Hope you enjoy the knitting of it. Mine blocked out nice and big, much larger than it seemed to be on the needles.